CZ 300 Dim. Int. (L.48, H.48 x, x W.25) Ext. (L.51, H.51 x, xW.28 Kg. 2.70. 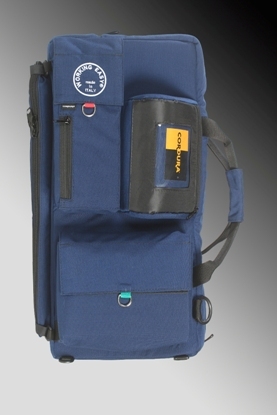 Made in Cordura fabric with warranty is has been designed for transport Canon C 300/500, well padded on all sides is lined with a highly technical material tested for a firm grip to the Velcro for the padded pockets for 03 optical lences , Loop, batteries and other that you need for filming. 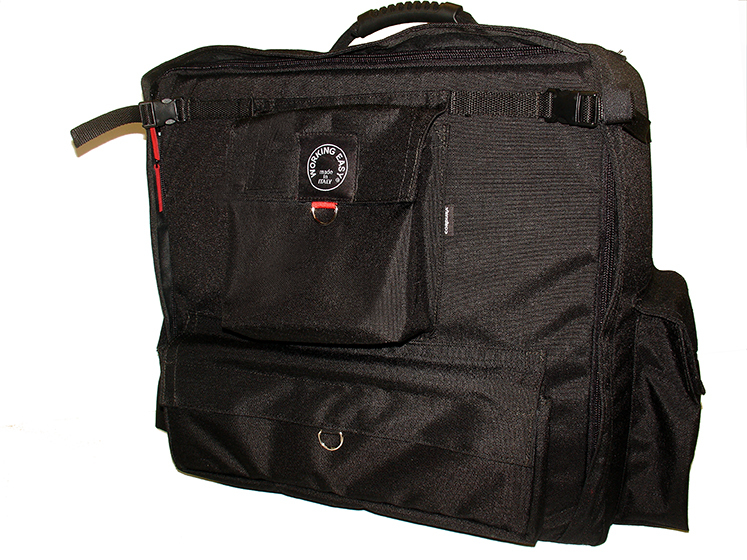 Also you can bring your Laptop 15/17 "held on the padded pocket on the back of the backpack, while the tripod can be applied in a side bag with locking. 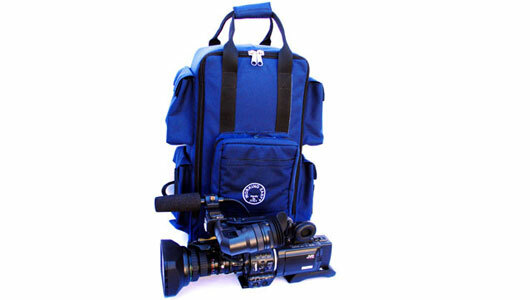 CZ 428 Backpack for Mini DV Camcorder Canon: F305, XF205,F200,F105,,F100,XA35, XA30,XA10. JVC: JYLS300, GYHM200/170. Panasonic: AJPX270,AJPX230,AGVX180,AGVX90,AGDVX200, AGDVX170,AGHPXAG3DA1, AGAC130/160,AGHMC150,AGHMC40P, JAF100,AGDVX100. Sony: PXW-x70,PXWFS5,PXWZ100/150,HVRV1,HVRZ1E,HVRZ7E,HVRZ5. 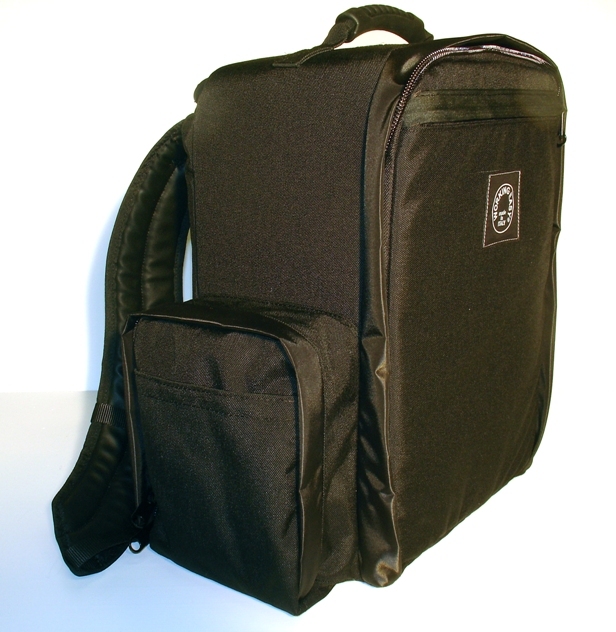 This durable and lightweight backpack double padding and reinforced with rigid support will protect your camera that will be locked vertically thanks to the velcro band, microphone, batteries, Card and more that will fit into the inside pockets. Externally 02 pockets will allow you to keep your equipment at its best and other small accessories (pens and ID). Be sure that this back pack will always protect your Camera. Specifications: The measures expressed are in Cm. CZ550B67 zaino per Camcorder Canon , ikegami, JVC,Panasoni Sony. Panasonic: AJPX270, AJPX230, AGVX180,AGVX90, AGDVX200, AGHPX170,AGHPX 200/250, AG3DA1,AGAC130,/160,AGHMC150,AGHMC40P,AJAF100,AGDVX100E. 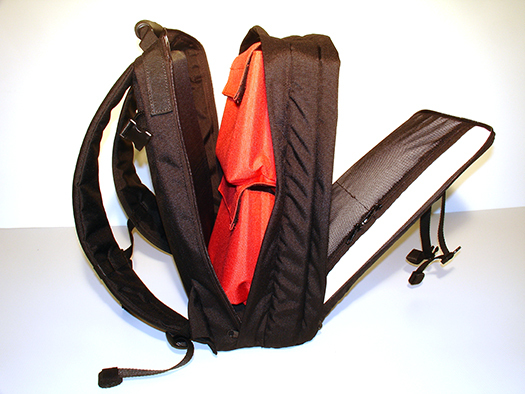 This durable and lightweight backpack with double padding and reinforced with rigid support will protect your camera that will be locked vertically thanks to the velcro band, microphone, batteries, Card and more that will fit into the inside pockets. Externally 04 pockets will allow you to keep your equipment at its best. 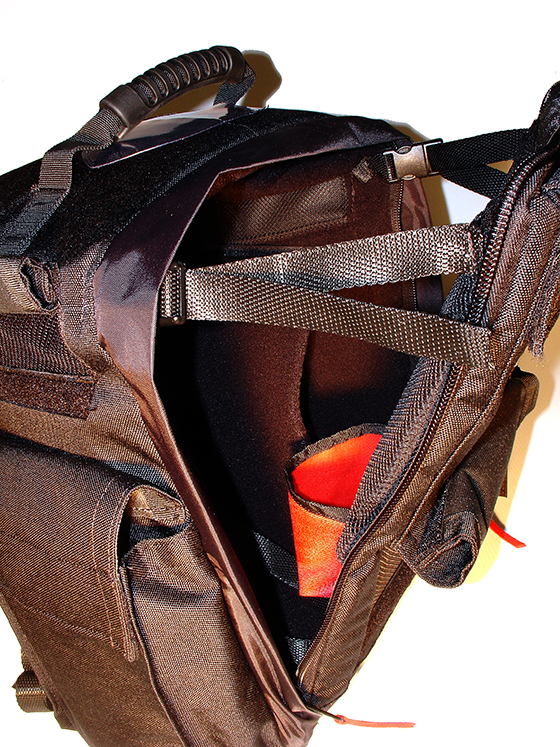 04 pockets for accommodate all your delicate production equipment and other small accessories (pens and ID). Be sure that this back pack will always protect your Camera. Sony: PMWEX3, HVR-HD-1000. JVC:HM 700,750,790 ,GYHD 200,250,251 Canon: XLHD1, XL 2. Panasonic.AGHMC71E.AGHMC80P.AJGAC7. 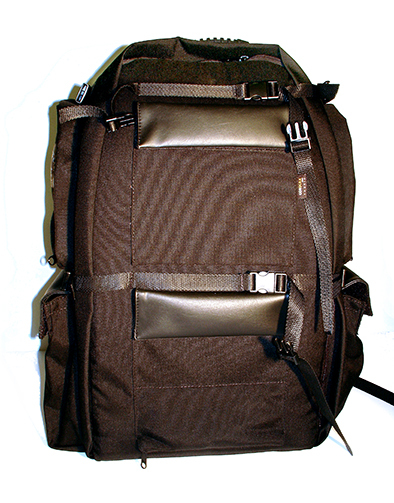 Custom fitted for your Mini DV Camcorder this rugged back pack will vertically accommodate camera and microphone. The interior is provided of three internal pockets to contain accessories, four more roomy pockets as extended as the entire length of the case will accommodate all your delicate production equipment and other small accessories (pens and ID). Be sure that this back pack will always protect your Camera. 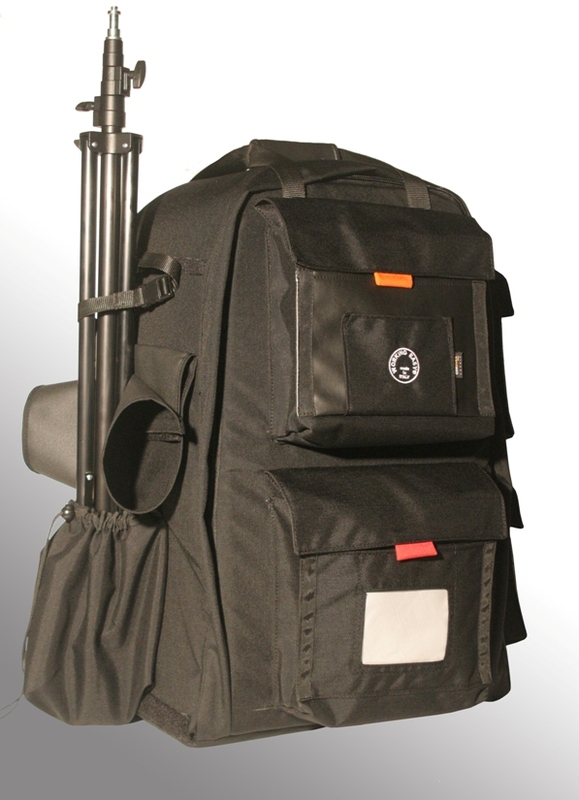 Backpack designed for live shooting, in your backpack you can keep your Teradek Bond 2 device full of USB Slots, which will be locked thanks to Velcro bands, in the backpack you can accommodate your camera and connect it using the outputs that allow Cables to reach the batteries 02 side pockets (L 14, H 18, W.8), the backpack is complete with 03 ventilation windows and laptop pocket 15 "
Internal. (L.32, xH.53, xW.22) Ext. (L.36, H.55 x, xW.24 Kg. 2.42 . 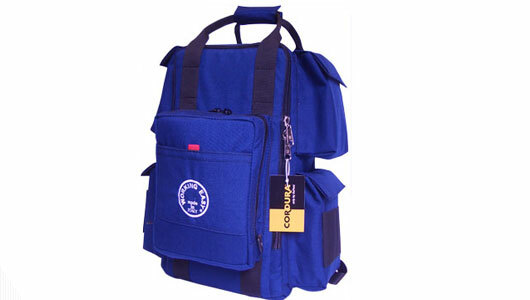 Made of Cordura fabric, with double padding and rigid reinforcement on the base and sides. 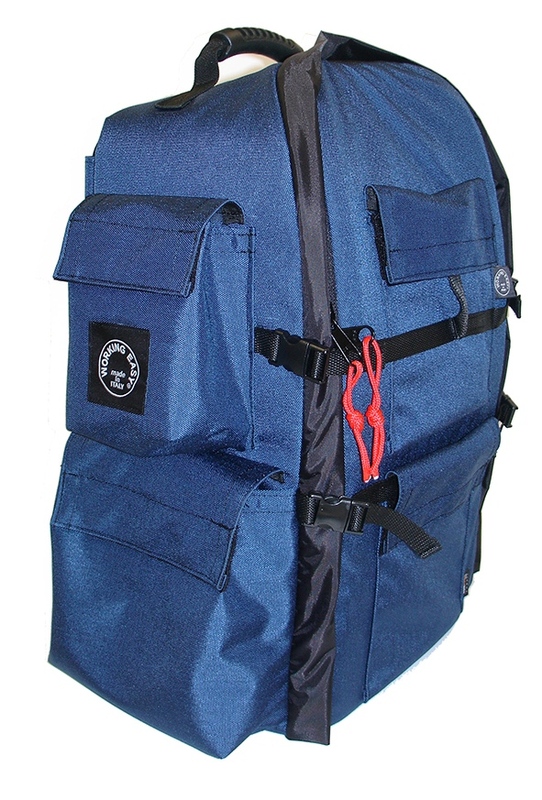 Equipped with 04 side pockets, 01 front pocket with mono tripod lock and 01 back pocket for laptop. Internally multi removable dividers will allow you to get the best out of your equipment. Available colors: Blue and black.